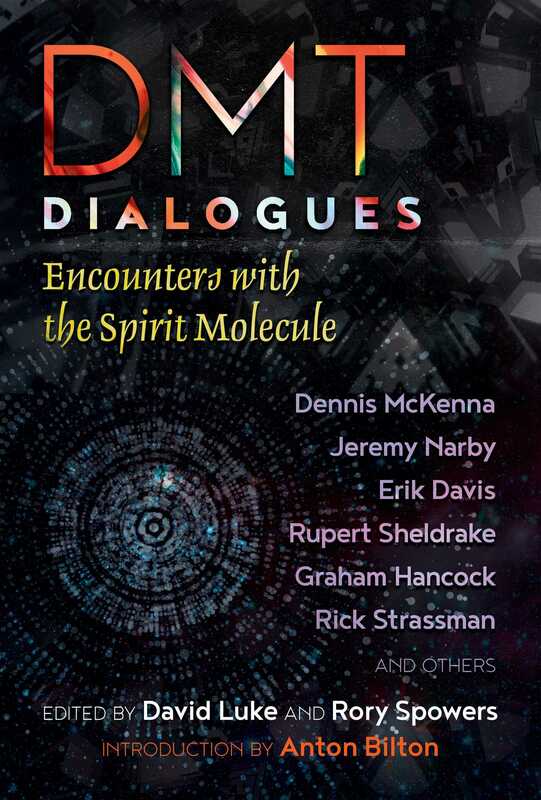 In September 2015, ten of the world’s leading luminaries noted for exploring the mysterious compound DMT (dimethyltryptamine) gathered with other researchers at Tyringham Hall in England to discuss the subject. Over three days, they pooled their expertise from a wide range of subjects--archaeology, anthropology, religious studies, psychology, neuroscience, chemistry, and psychopharmacology, to name a few--to explore the notion of “entheogenic plant sentience” and the role of DMT as a conduit between Spirit and Matter. Offering cutting-edge insights into this visionary domain, this book distills the potent exchange of ideas that occurred at Tyringham Hall, including presentations and discussions on DMT entities, the pineal gland, the possibility of DMT as a chemical messenger from an extraterrestrial civilization, the Amazonian shamanic perspective on Invisible Entities, morphic resonance, and the science behind hallucinations. Contributors to the talks and discussions include many leading thinkers in this field, including Rupert Sheldrake, Rick Strassman, Dennis McKenna, Graham Hancock, Jeremy Narby, Erik Davis, Ede Frecska, Luis Eduardo Luna, Bernard Carr, Robin Carhart-Harris, Graham St. John, David Luke, Andrew Gallimore, Peter Meyer, Jill Purce, William Rowlandson, Anton Bilton, Vimal Darpan, Santha Faiia, and Cosmo Feilding Mellen. Maybe we have a secret doorway inside our minds, through which we can project our consciousness into other dimensions, and through which intelligences in other dimensions may make contact with us and teach us stuff we didn’t know before. The moment our ancestors started manifesting evidence of deliberately inducing altered states of consciousness, a transformation overtakes human behavior. Stone tools, hunting tactics, and spiritual ideas all take a quantum leap forward at the same time. So is altering consciousness a portal to other worlds and dimensions, from where we return with novelty and news to implement into human culture? I will just float this explanation: that these experiences are in some sense hardwired into the human brain and that this is why they are transpersonal and universal. But why would millions of years of evolution equip the entire human race with brain modules for therianthropes and abductions by spirits and fairies and aliens? Why should these spirit molecules only be activated in altered states of consciousness? Francis Crick, an advocate of directed panspermia, hypothesized in the 13 billion years since the Big Bang, there has been time for life to have evolved more than once in the universe. If an alien civilization in a distant galaxy discovered it was going to be utterly destroyed by some cosmic accident, their first thought would be to move themselves, and start their project somewhere else. If they genetically engineered bacteria to make them extremely resistant, packed them into cryogenic chambers and fired them from rockets, and one of those spaceships hit the earth 3.8 billion years ago and spilled out its contents of bacteria, which immediately began reproducing and evolving, then 3.8 billion years later here we are, the end result of that process. If our DNA originated elsewhere as a result of genetic engineering, perhaps what we’re all universally accessing in altered states of consciousness is not a hidden doorway, but a hidden archive within our own bodies, containing all the knowledge of an ancient and alien civilization. We should welcome the chance that our plant allies are offering us: to explore the whole of reality, and to discover our place within it. Graham Hancock: This is the question we’re all here to examine: are there real entities, real realms underneath us? Or, [is it] all made up in the human mind? Anton Bilton: . . . When we bump into [DMT entities], sometimes it’s wonderful and divine, but many times it’s ambivalent. It’s not dissimilar to a farmer with his sheep; I’m going to look after the herd, check their teeth, probe around make sure they don’t die. My question is: are they the farmer, and are we the sheep? Hancock: I agree with you about the ambivalent nature of the entities. There are encounters with what feels like pure evil, in those realms from time to time . . .
Bilton: Good farmers and bad farmers . . .
Hancock: Andrew, this morning you were talking about drip-feeding DMT to a group of volunteers who might be sent on an extended DMT trip? If such a group were willing to go, what would you task them with? Andrew Gallimore: When you first enter a new territory as an ecologist or a biologist you sample the fauna and flora, establish communication perhaps, then establish a means of returning. Hancock: Is there a category of data that could be brought back from that realm that would say it’s definitely freestanding? William Rowlandson: If we’re trying to say “do this mathematical sum, let me pick a flower from your garden,” we’re missing a bit of the point. Rowlandson: Evidence? I mean what are you going to do? Bring back a bloody elf? I’m sorry, but it’s not going to happen. Hancock: A friend of mine describes this realm as a university of duality--that we are here in this physical form to experience the lessons that duality has to teach. And duality has to involve the dark and the light, the good and the evil. There are lessons to learn in the physical realm and they are not for the fainthearted. Rick Strassman: I think it would be worthwhile to have a high level mathematician start working on the mathematical possibility of bringing back an elf. You know some of Einstein’s theories were first developed in his mind from mathematical models, and then only later, 30, 40, 50 years, was there empirical data backing up his models. If it’s possible to find a sympathetic mathematician to work out some mathematical models to substantiate the possibility of bringing back an elf, I think that would lay the groundwork for future empirical work. Luke: Maybe we can task the elves to give us a theory of everything? Bilton: What about the coordinates of a moon or star we don’t know about yet, a little bit like a Sirius Dogon scenario? Give us something we don’t know and then we’ll get a telescope or whatever and find it. Hancock: Yes that could work . . . But then it may not be a teaching of information from nonphysical consciousnesses in another dimension. . . . The problem we have to explain is why there are these transpersonal experiences of encounters with entities. They are apparent today, and they also cross time, and they go back deep into the story of the human race. Jill Purce: I’m just wondering if they give their name, like Rumpelstiltskin. Hancock: If the entities give their name? Purce: Or if people ask them their names. Hancock: Yes that’s an interesting thought. I’ve never asked them their names. “Who are you?” I like that. Purce: Who are they, and in whose name are they working?